The defendants — which include, BP, Royal Dutch Shell, Citgo, Conoco Phillips and Peabody Energy (coal) — “promoted and profited from a massive increase” in the use of fossil fuels as that use “caused an enormous, foreseeable, and avoidable increase in global greenhouse gas pollution” that has led to “a wide range of dire climate-related effects, including global warming, rising atmospheric and ocean temperatures, ocean acidification, melting polar ice caps and glaciers, more extreme and volatile weather, and sea level rise,” the plaintiffs say. None of the fuel companies was available for comment after business hours Monday and none had issued a statement in response to the lawsuits. The three lawsuits, each just under 100 pages, are largely identical. They were all filed by the San Francisco law firm of Sher Edling, working with San Mateo County Counsel John Beiers, Marin County Counsel Victor M. Sher and Jennifer Love of McDougal, Love, Boehmer, Foley, Lyons & Canlas of La Mesa as city attorney of Ocean Beach. Imperial Beach’s lawsuit was filed in Contra Costa County Court. All the lawsuits were filed on behalf of the plaintiff entities and on behalf of the People of California. The public nuisance claims are similar the lawsuits that states and cities brought in the 1990s against tobacco companies. But similar lawsuits have fared poorly against energy companies so far. The Supreme Court blocked a lawsuit by nine states against six major energy company polluters in 2011, and the Ninth Circuit used different grounds in 2012 to toss a suit from a tiny Alaskan village against 22 energy companies. Each new lawsuit provides about a dozen pages of scientific information, charts and tables showing that the use of fossil fuels exploded over the past 50 years, and tying the increase to rising pollution, temperatures and sea levels. The municipalities say the 37 defendants “are directly responsible for 227.6 gigatons of CO2 emissions between 1965 and 2015, representing 20.3 percent of total emissions of that potent greenhouse gas during that period.” A gigaton is 1 billion tons. Each lawsuit spends another 30 pages asserting that the defendants, particularly ExxonMobil, knew fossil fuels were warming the globe and raising the sea level as early as the 1960s, but tried to obscure the information to profit from it. ExxonMobil came under fire after investigative news reports made similar charges in 2015. After those revelations, officials in Massachusetts and New York subpoenaed the company for records related to the allegations. What Exxon knew and when it knew is came up during Senate hearings to confirm former CEO Rex Tillerson as secretary of state. Marin, San Mateo and Ocean Beach say rising seas pose a significant threat to them because all are on the coast. 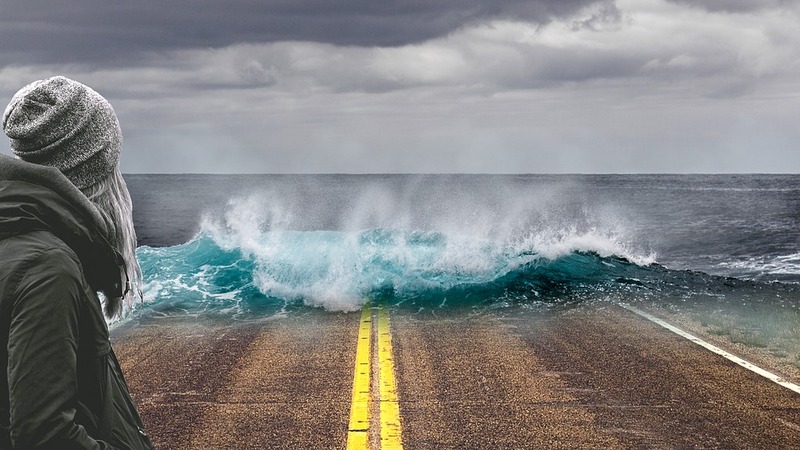 “Sea level rise is here and we’re experiencing it firsthand in Marin, as roadways continually flood with king tides and storms,” Marin County Supervisor Kate Sears said in a statement. More than 12,000 Marin County homes, businesses and institutions could be hit by high tides and floods, costing as much as $16 billion by the end of the century, according to the statement from the plaintiffs’ law firms. Even without rising seas, “there is a 99 percent risk that the county experiences a devastating three-foot flood before the year 2050, and a 47 percent chance that such a flood occurs before 2030,” Marin County says in its complaint. San Mateo says rising seas threaten San Francisco International Airport, the cities of Palo Alto and Menlo Park and many other institutions and properties. The municipalities seek restitution, punitive damages and other relief for claims of public nuisance, private nuisance, strict liability, negligence and trespass.